When India won the 2nd ODI in Nagpur, it seemed like the Men in Blue already had one hand on the trophy. The fans expected the rest of the series to go just like the first 2 ODIs but the resolute Australian side had other plans. 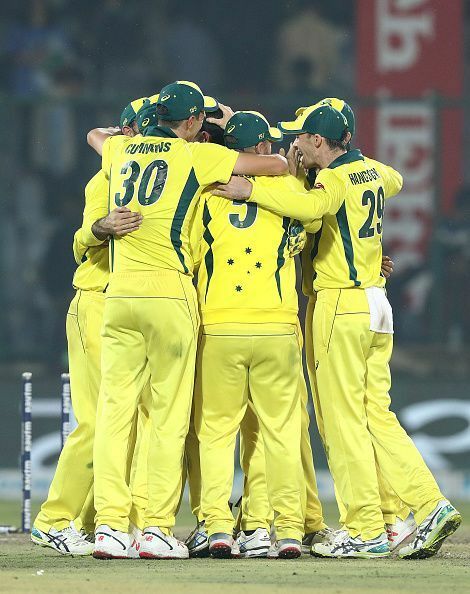 The Aussies turned around the series in a remarkable fashion as they held their nerve and came back from 0-2 in the series to register a historic 3-2 series win and reign triumphant over the hosts. 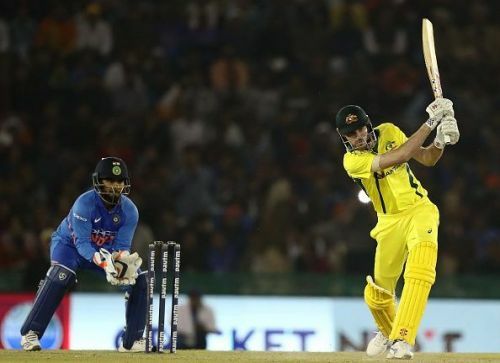 Australia did put on a tremendous show as they completed their remarkable comeback at Feroz Shah Kotla in Delhi by beating India by 35 runs to win the 5-match ODI series. Here we list down 5 men who helped cricket Australia script this marvellous series win in India. While Ashton Turner’s numbers throughout the series weren’t as startling as the others, it’s his heroic innings in the 4th ODI which has got him a place on this list. Turner played out of his skin as Australia looked to chase down India’s massive total of 359 in Mohali. Turner, playing just in his second game, smashed the ball all around the park as the Australian ended the match at 84*. His brave innings brought a lot of appreciation from cricket enthusiasts all around the globe as Turner helped Australia chase down the enormous total India set them up. Turner’s ability to slog some really big 6s was a genuine treat for cricket fans as the Australian literally defied all odds to help his side win. His contribution will surely be celebrated by the ardent Australian cricket supporters as his valuable knock kept them in the series. Turner was deservingly named the Man of the Match for his contribution in Australia’s monumental victory in the 4th ODI. Adam Zampa has always been an exciting bowler as the leggie has the ability to catch the attention of cricket enthusiasts with his commendable bowling attributes. Zampa was instrumental in Australia's historic series win in India as the Australian troubled the Indian batsmen with his trickery and bowling prowess. His capability to spin the ball really well was on show as he ended the series with 11 wickets. Zampa constantly gave the Indian batsmen a scare or two as he perfectly tossed the ball in the host's way. Zampa's total of 11 wickets throughout the 5-match ODI series helped him end as one of the star performers for the Aussies. The blonde haired spin sensation completed the series with the 2nd most number of wickets across both the sides.